Bee Careful! 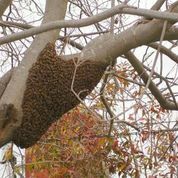 If you have a swarm of bees that make you or your neighbors nervous, don’t hesitate – call your Aliso Viejo bee removal service experts at Bee Busters! While Aliso Viejo does not have major tourist attractions to boast of like other Southern Californian cities like Universal Studio and San Diego Zoo. However, the city is proud to be home to people of different races wherein its combined culture has made Aliso Viejo a unique city. The city lies in the San Andreas Fault zone and has faced lots of earthquake activity in the past. Despite all this, the city’s air quality is better than the California average. Notwithstanding the fine air quality, Aliso Viejo like many other cities, has the problem of unwanted bees, wasps and yellow jackets. These insects are aggressive defenders of their nests and give threatening stings if disturbed. Wasps are even more aggressive while defending their colonies, and can each deliver multiple and painful stings. These stings not only swell and grow tender, they are life-threatening to those allergic to bee stings. Multiple bee stings are also dangerous as enzymes in the venom can damage red blood cells and other body tissues. If you notice a beehive or nest on your property, it is better to avoid passing the area and look for a bee removal service such as Bee Busters. 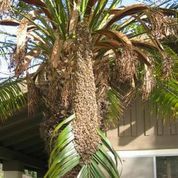 Aliso Viejo Bee removal is best done by a professionals, as bees can get angry very quickly and sting you and innocent passers-by. 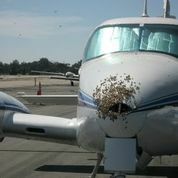 Bee Busters has been doing bee control in the area for over thirty years. If you want live bee rescue in Aliso Viejo or bee extermination, with our substantial experience we can do whatever is most appropriate to any bee scenario. So, if you are faced with a bee, wasp or yellow jacket infestation, you should call and hire a reliable Aliso Viejo bee removal service at 949-497-6264 or 714-731-1959 or visit the website of Bee Busters, Inc. @ www.beebusters.com for an expert bee keeper’s help. For Bee removals in Aliso Viejo, Call Bee Busters Today!